Salvation - what is that? Have you ever thought about what salvation is? What does it mean to be saved? How do I get saved? Salvation is something that I can not do by myself, noway can I do anything in my own power. Only by the Grace of God can I be saved! Assured about my own salvation I told the world that I was a Christian, raised in a Christian home with the belief in Jesus from the beginning of my life. Throughout my childhood and teenage years I always stood up for The Name. If someone in the church asked me if I was saved, I was embarrassingly surprised, I had been a saved Christian my whole life. Never had I been in the world, danced at the disco, ever tried cigarettes or tasted beer. I had always been a pattern Christian and I had never been a sinner... except for one small little thing that I for some reason couldn't stop doing. I would be stuck there for many years while it just grew larger and larger. One day I had to realize it: I was hell-bound and a slave to sin whether I liked it or not. When I grew up inside the church in a Christian family I learned the way to talk ans behave, I was zealous for God and my faith. With time I started to assume things, I took it for granted. Of course I was saved, I behaved like a Christian, I talked like a Christian and there were a distinct difference between me and the non-saved kids in school. I even had to suffer some persecution and bullying for my faith. So I was for sure saved, I confessed Jesus with my mouth, so my salvation was secured. I confessed with my mouth I was saved and believed in my heart that Jesus was risen from the dead. Every few years, when the family visited some Christian conference a silent voice within me said: "you are not saved!" That scared me so I shut it down and induced my selfe salvations assurance: "I am saved!" And so I continued, if I am saved, then I am saved! Easy believism - is it true? I confessed with my mouth, I believed in my heart and I stood up for Jesus under pressure. But why couldn't I defeat sin when I became a teenager, why did the sin defeat me. If I am a new being am I not free then? How come I was a slave to sin? For some reason I couldn't understand why the sin lived its own life in my body, and why I couldn't follow my own will when I desired not to sin. But of course, I was saved, I had always thought that, and I had never heard anyone preach anything else, so it couldn't be otherwise. I had learned this thought pattern in the church, and it had never been challenged before, I was saved I was sure. But I continued to struggle with that little secret sin, until one day I did realized the truth. 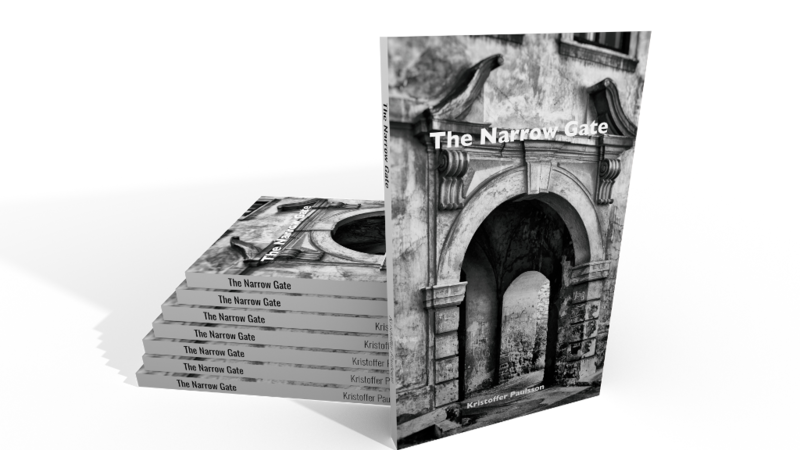 I was not through The Narrow Gate! Someone asked him, “Lord, are only a few people going to be saved?” He said to them, “Make every effort to enter through the narrow door, because many, I tell you, will try to enter and will not be able to.